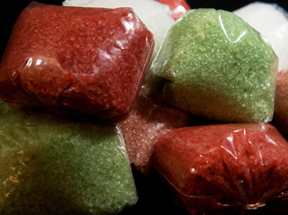 Deputies hoping to stem the illegal sale of “designer” drugs such as “bath salts” and “spice” found the contraband in two of four tobacco shops they checked in the Santa Clarita Valley, it was announced. The Santa Clarita Valley Sheriff’s Station Juvenile Intervention Team conducted the operation July 8 and issued two citations to the shopkeepers, said Deputy Joshua Dubin of the Santa Clarita Valley Sheriff’s Station. Selling the contraband is a misdemeanor punishable by county jail time and/or hefty fines, Dubin said. Cannabinoids, which include synthetic marijuana or “spice,” and synthetic cathinones, otherwise known as “bath salts,” are increasingly available over the counter, according to authorities and referral networks that help get addicts into treatment. According to a recent report from the United Nations Office on Drugs and Crime, the number of synthetic drugs being sold on the streets or over the counter rose by more than 50 percent over the past three years. The unregulated “designer” drugs are sold as tablets, capsules, or powder — often with names such Vanilla Sky and Bliss —and purchased in places such as tobacco and convenience stores, gas stations, head shops and via the Internet. A study published in the August issue of Neuropharmacology shows that “bath salts” appear to be more addictive than methamphetamine.